Individual four cars/drivers are in post # 2. Special edition vehicles honor winning Corvette Racing drivers with four distinctive appearances! 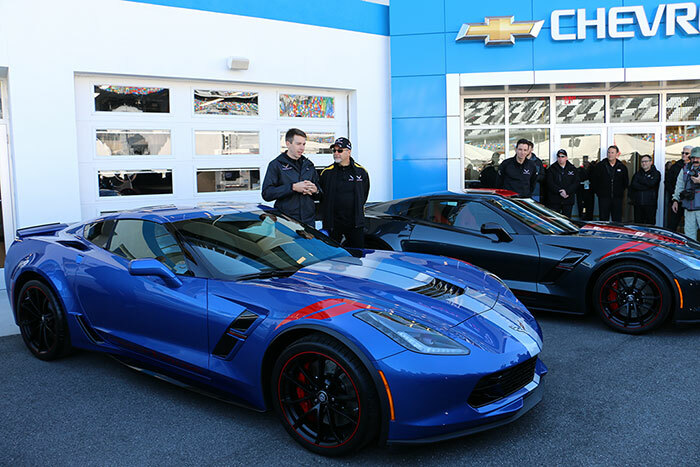 Grand Sport models designed in collaboration with the Corvette Racing team. 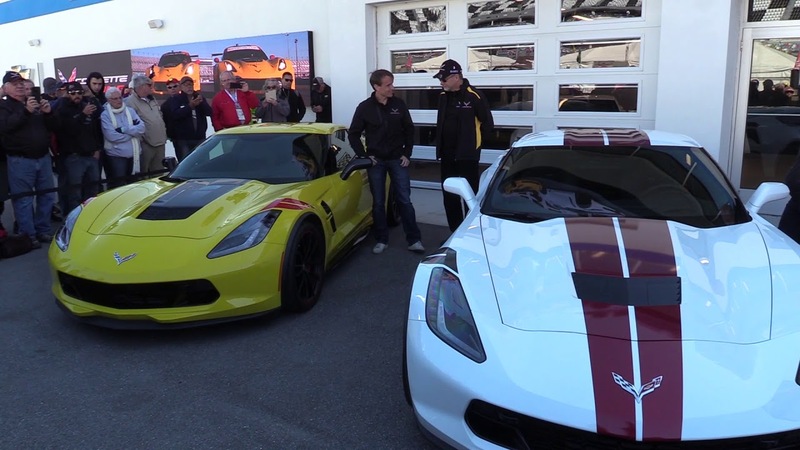 Corvette Racing drivers Tommy Milner, Oliver Gavin, Jan Magnussen and Antonio Garcia. Suede interior (leather seats on 1LT) with red seat belts. Red hash marks, Carbon Flash mirrors, black wheels with red stripe, red brake calipers. Adrenaline Red interior with red seat belts. interior with red seat belts; red stitching on 3LT trim. Black interior; yellow stitching on 3LT trim. with the 3LT trim include carbon fiber interior trim. * Functional brake ducts and enhanced cooling package. 14.4-inch (365 mm) rotors and four-piston calipers in the rear. * Magnetic ride control, specific stabilizer bars and unique springs. *Front Curb View Camera2 on 2LT and 3LT trims. *Head-up display included on 2LT and 3LT trims. *Heated and ventilated leather-appointed seats on 2LT and 3LT trims. *Leather-wrapped interior with suede upper interior trim included on 3LT. $4,995 for 1LT and 2LT trims and $5,995 for the 3LT trim. FAST FACT: Since 1999, Corvette Racing has won 99 races in IMSA competition. That’s the most of any professional sports car racing team based in North America. Last edited by John; 01-25-2019, 10:46 AM. Official four GS versions close up. (Not publicly viewable until 11:46 AM EST). Last edited by John; 01-25-2019, 10:44 AM. Yawn! (Oh, sorry.) Did anyone check the spelling yet??? Now that I'm done yawning I feel a bit ashamed. All in all, they look pretty good (…. and I'm a 'black wheel' guy anyway). I certainly wouldn't pay the premium to buy one of those, versus ordering a Corvette exactly how I wanted it to look. On top of that, none of 'em are 'verts' so that eliminates that all together. If they help sell a few extra Corvettes then that's just fine. The problem is that they will likely be very collectable (in 20 or 30 years) since so few will actually be ordered.... but the collectability will only apply if you pick the right driver! In my opinion, this confirms that there will be a 2020 C7 with a real 'Special Edition' just like they've had at the end of the C4 and C5 generations. That, coupled with all the part number leaks referencing the 2020 model, cause me to believe that there will 2020 C7's at the big gathering in Bowling Green in Spring. Good to know these special edition corvettes announced january 25 th are 2019 corvette models. had gm been planning c7 s for the calendar year 2020 ...these would be 2020 models produced after january 24 th or whatever the federal governement requires ..
i had a feeling it would be on the grand sport modelof the c7...which i believe has been responsible for about 49 percent of c7 annual sales..
hoe gm sells a lot of these and cleans up c7 inventory sooner rather than later. 4 grand for stripes and a dash plaque, and another grand for some carbon fiber bits inside. No thank you. Would this be the first time in Corvette history that the car got a "revised update" instead of a complete body change? because if thats the case then the mid engine car is a new platform branched off the Current car. and the FE will Live on and possibly be a different c8 in a few years, along side the Mid Engine. How do we get in on the daily raffles? Thank you David Smith for this descriptive picture. While these Drivers Editions are not something I would want, I am easily imagine that they will be sought after by some. 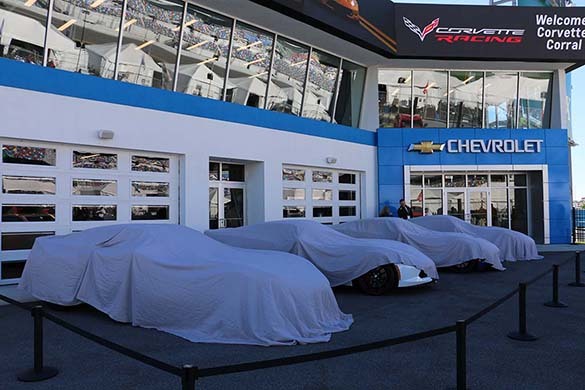 It was a great day for Chevrolet this morning as the 2019 Corvette Grand Sport Drivers Series was revealed to a throng of Corvette enthusiasts at the 2019 Rolex 24 at Daytona International Speedway. 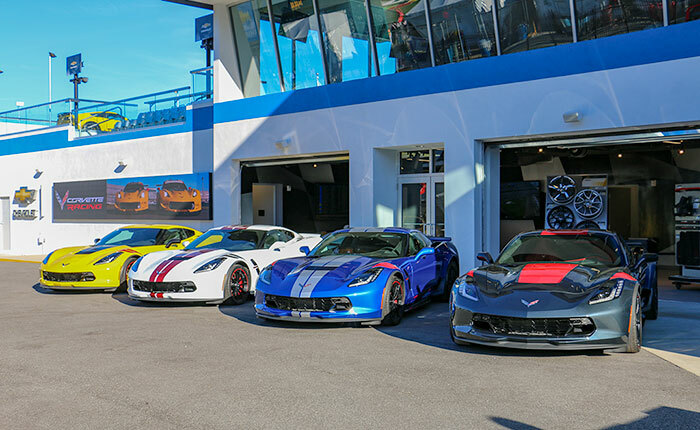 The reveal was held at the Chevrolet Experience Center and Chevrolet’s Director of Competition Mark Kent led the event as the four Corvette Racing drivers stood beside their special Drivers Series Grand Sports. After the introductory comments from Mark Kent, he went down the line and asked each driver to reveal their special edition. Antonio Garcia, Jan Magnussen, Tommy Milner, and Oliver Gavin each pulled the cover and stood proudly next to their creations as Corvette’s Exterior Design Manager Kirk Bennion talked to each of them about the choices and where they found inspiration for their designs. Drawing a laugh from the crowd, Jan said his Arctic White Drivers Edition reminds him of the Ron Fellows Special Edition. The 2019 Corvette Grand Sport Drivers Series editions were created by the individual drivers with collaboration with the Corvette design team. Starting with a Grand Sport Coupe, the drivers selected the exterior colors and graphics combinations. A special Corvette Racing decal shows on the bottom of the doors and an interior plaque displays the name of the Drivers Series as well as the unique sequence number for each car. Pricing for the 2019 Corvette Grand Sport Drivers Series packages is $4,995 for 1LT or 2LT trims and $5,995 for the 3LT trim level package. Here’s the reveal as it happened Friday morning, January 25th at the Rolex 24 at Daytona International Speedway. Just a quick note that the audio situation was difficult with loudspeakers from the track being directed at the building. I did try to isolate the presentation as best as possible. In addition to the video, here are our photos from today’s event. When we got to the site, we found Kirk Bennion and others doing some last minute prep on the cars by adding Corvette Racing door stickers to each of the cars. We came back later in the day to get the cars basking under the Florida sun. Last edited by John; 01-25-2019, 09:40 PM. That was an interesting video. Thank you CorvetteBlogger. My hearing aids didn't do a thing for that! But my eyes showed me that they all appear to have Carbon Fiber brakes. Good eyes ltomn! Since there is a option for all Driver’s Series to have the Z07 package, and that package comes with the carbon ceramics, you have IMO discovered that that specific package is on every one of their chosen vehicles.